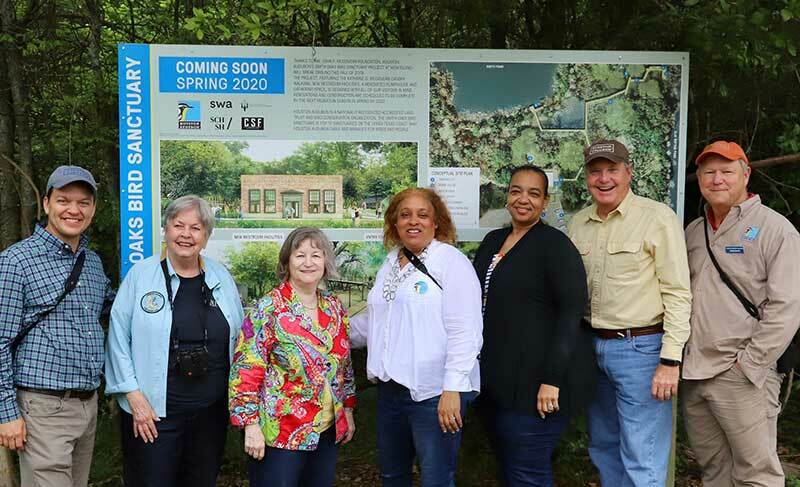 4/8/2019 – High Island, TX – Houston Audubon and Kathrine G. McGovern unveiled the $2.3 million nature tourism enhancement plan for Smith Oaks Bird Sanctuary in High Island on Saturday, April 6, 2019. 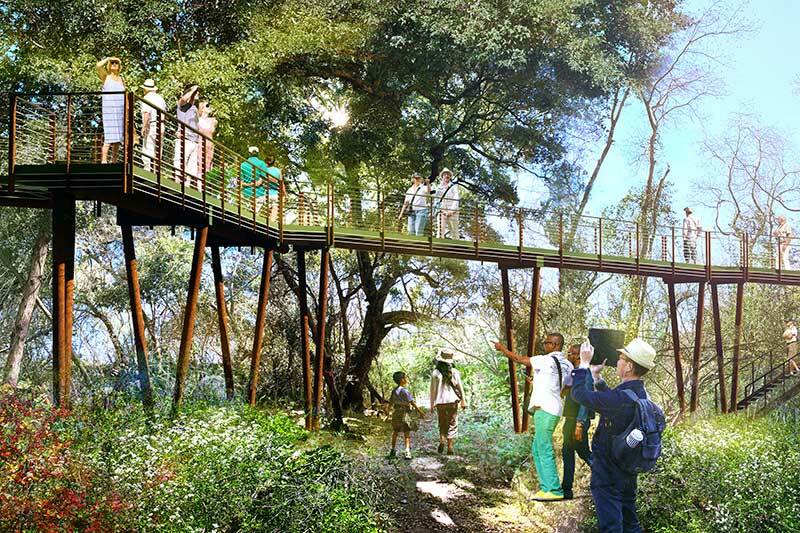 The project will feature the Kathrine G. McGovern Canopy Walkway—an elevated viewing experience through the forest canopy and sub-canopy. The plans also include renovating a 1920’s brick building known as the pump house, and new restrooms. The renovated pump house will be used as a visitor center and gathering space. The project is expected to be completed in time for Spring Migration, 2020. 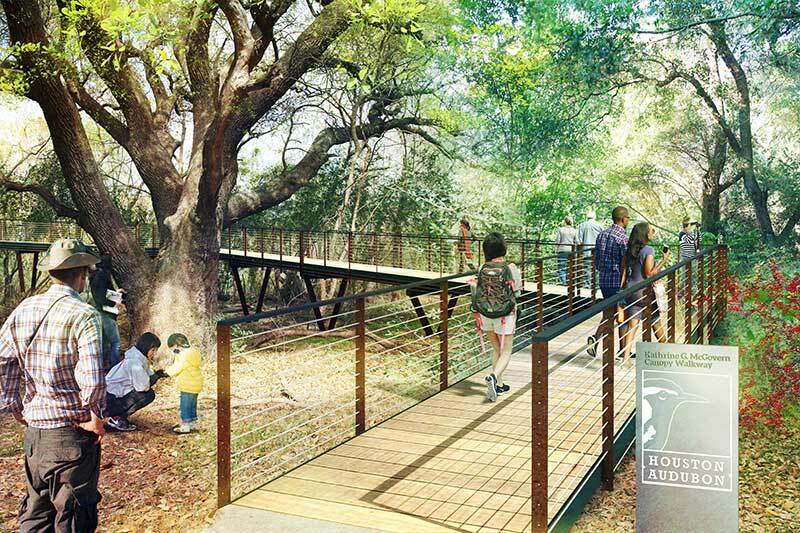 The architecture of the canopy walkway is designed to complement the natural backdrop and setting of the sanctuary. 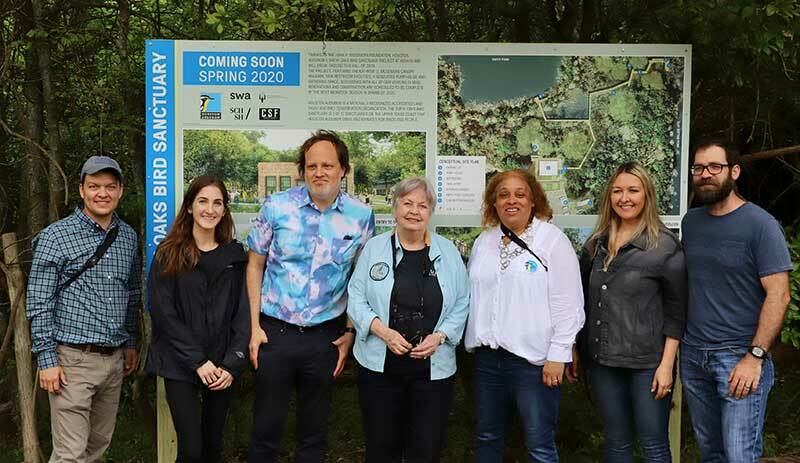 A handicap-accessible entrance ramp will lead to 700 feet of boardwalk through premium birding areas, and will reach up to 18 feet above ground. 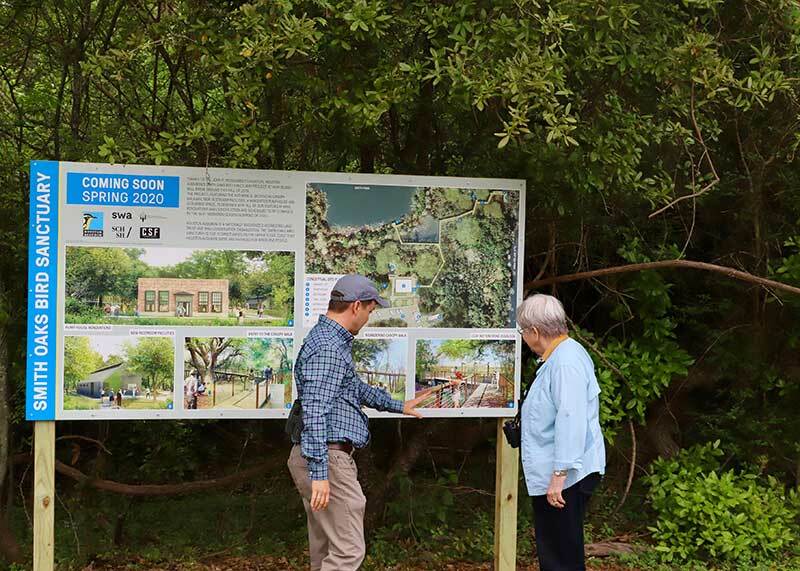 The immersive experience will include an overlook at Smith Pond and at the Clay Bottom Pond Rookery which is already a crowd pleaser for both intense birders, wildlife photographers and for casual tourists, who are thrilled to see the pink birds and alligators. Not only do birds contribute necessary ecological services, they also provide an economic boost. According to a 2016 US Fish and Wildlife Service report, $75 billion was spent on wildlife watching, and birdwatching was the biggest contributor with more than 66 million people participating. Project design team includes SWA Group, SCHAUM/SHIEH Architects, CSF Consulting, LP, and Hunt & Hunt Engineering Corp. 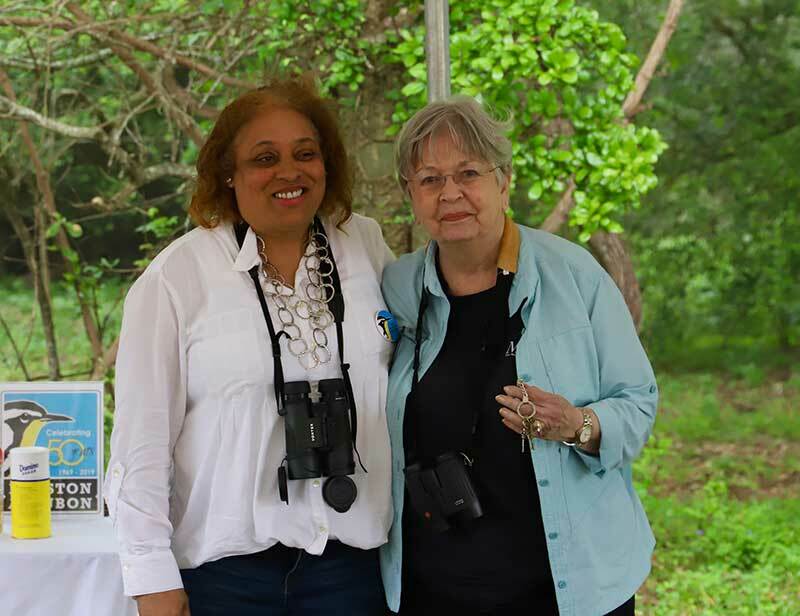 Established in 1969 as an autonomous, self-supporting chapter of the National Audubon Society, Houston Audubon’s mission is to advance the conservation of birds and positively impact their supporting environments, which it accomplishes through acquiring and maintaining critical habitat as bird sanctuaries, providing education programs and nature experiences for children and adults, and advocating policy and management actions in support of the mission. 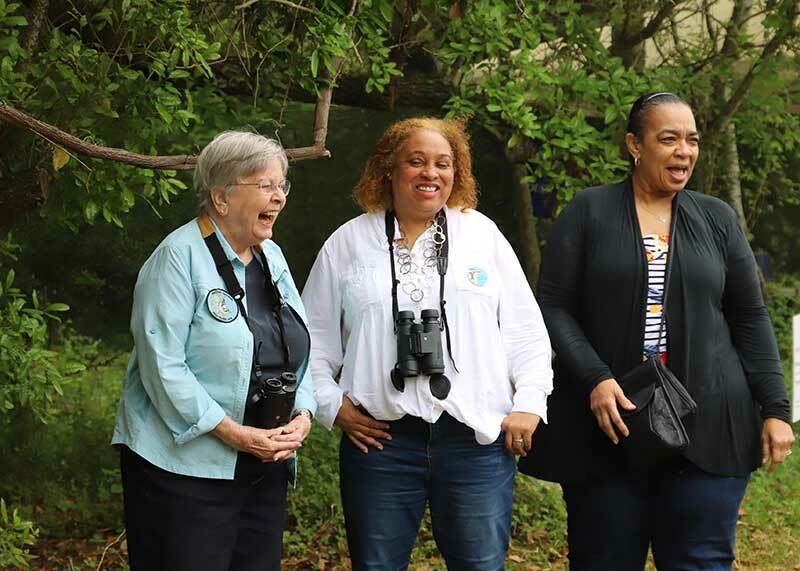 Houston Audubon owns and manages 17 nature sanctuaries encompassing 3,400 acres across the Greater Houston and Galveston regions and became an Accredited Land Trust in 2017.